Bill Cosby still has no intention of testifying in the ongoing sexual assault trial against him, but the court got pretty close to hearing Cosby’s side of the story today thanks to a deposition he gave to the police in 2005 after the incident allegedly occurred. 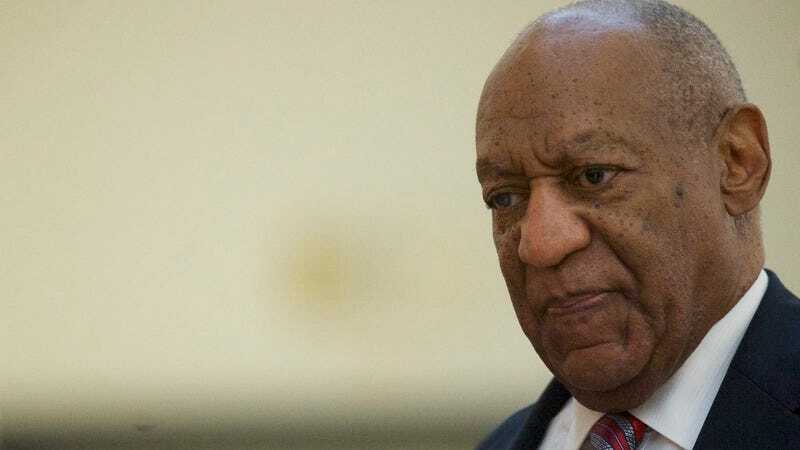 Cosby is on trial for the assault of Andrea Constand, a former employee of the athletics department at his alma mater Temple University, and she took the stand to present her account of the event—including Cosby giving her pills that he wouldn’t identify and him groping her while she was “frozen” and unable to “fight him away”—earlier in the week. According to Vulture, the decision about which portions of Cosby’s 2005 deposition would be allowed in court came after “close to an hour and a half” of debate between Cosby’s defense and the prosecution, with both sides “seemingly comfortable” with what they decided. No matter whose side of the story you listen to, though, it’s clear that something about their relationship disturbed Constand, who eventually quit her job and moved to Toronto. Her mother even once confronted Cosby about the alleged abuse, but he just responded by offering to pay for Constand to go to graduate school. Plus, just to further illustrate his generosity, he apparently once tried to get her a job at the William Morris Agency, which happened to be the place where Kelly Johnson—another Cosby accuser who testified earlier in the week—used to work.